At Dogwood Acres Pet Retreat, we’ve gone to great lengths to create the region’s premier pet lodging, daycare, training and spa facility. 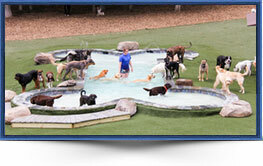 We are not your typical kennel or boarding facility. We have created an uniquely fun and safe retreat where pets love to come and play and where owners trust our standard of care for their pets. With a state-of-the-art facility and acres of wooded grounds, along with amenities you expect from a five-star hotel, and a staff of animal lovers who are second to none, we offer our guests a superior experience every visit. Performing a “surprise inspection” of any pet care facility is a necessary step in ensuring the health and safety of your pet. 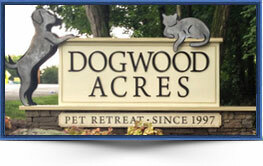 We invite you to drop by Dogwood Acres Pet Retreat anytime our lobby is open for a personalized tour of our complete facility. Our staff will be excited to show you around and you will quickly see what sets us apart. 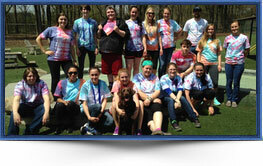 Choosing the right pet care facility is an important decision. Here are some important factors to consider when looking for a safe and happy place that is perfect for your pet. 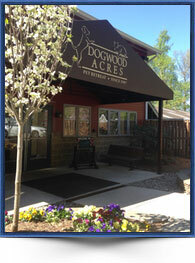 See why Dogwood Acres is considered a premier destination for lodging, daycare, bathing and training. Our staff sets apart. Meet our leadership team whose talents and dedication foster an environment which values honesty, hard work and most of all exceptional and affectionate pet care.